Well, we took a little break in our Father's Day feature week so we wouldn't overwhelm you guys, as you can see our poster says through the 8th. Good idea? Bad idea? We love blogging so if you guys like something every day, we'll do it! Anyways...we have a special blog for you today (actually, tonight as I'm putting this together at night). If you've been following us you'll know that we've brought on a creative blog team. We have two special blog team members for you today and they have some fabulous ideas! Father's Day is right around the corner and if you're wanting something to do with the kids this week or maybe something budget friendly with sentimental thought put into it, you've stumbled upon the right post. 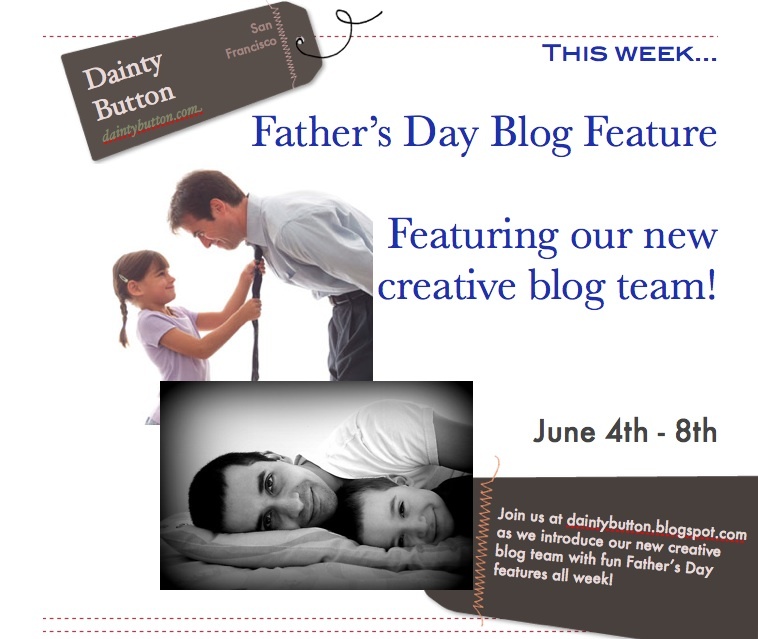 We hope you enjoy what our blog team has come up with and feel free to email us (daintybutton@yahoo.com) or comment below with your thoughts, "shout outs" and even ideas. 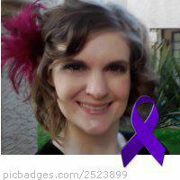 Meet our first blog team member, Susanna Simpson. She put together some wonderful Father's Day DIY cards. Hope you enjoy! I love to make handmade cards! There is something very special about spending time to express your love or appreciation for that special person, through the labor of a card made from your heart! And with Fathers Day right around the corner, what better project to give your children that a few pieces of paper, some markers, and their imagination to make something extra special for their super hero! I have compiled a few neat ideas for every type of Father. From a first time Father, to the one that has many years and stories etched on the lines of his face, these cards will not disappoint! For a first time Father, their first Fathers Day is something very special. It is a time for them to be very grateful for the special bundle they hold in their arms! The perfect card would be anything that has a special touch from their sweet baby, so add a handprint or a footprint! 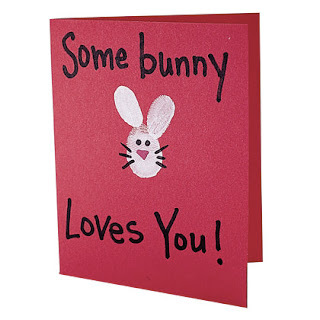 I found an adorable card that had the child's thumb print made into a cute bunny rabbit and said "Some Bunny Loves You!" How easy is that! Even the smallest of children can get in on the fun! And if you want to break out of the "box", instead of a rectangle shaped card, make it a heart shape! For a first year father, this will sure to bring out a smile! Another suggestion would be to make it small enough and laminate it, to fit in their wallet. So next time dad reaches into his wallet for his debit card, he will see that token of affection from his little guy/girl! What dad wouldn't love new tools on Fathers Day? I know my dad has asked me for a new tool kit for years, but let's face it, tools are expensive! Well this handy tool is one that will cost you very little,( you can find most of the items needed around your house! ), and will be just what your skilled dad is looking for! 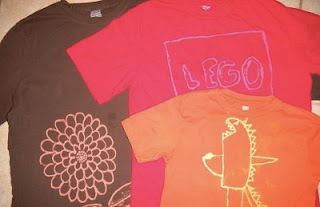 Found on familyfun.go.com/Fathers-Day, this inexpensive how-to is great for older children that are wanting to surprise their dad, and gives them a chance to plug into their creative outlet. Open up your pantry because all you need for this card is an empty macaroni box, yellow cardstock paper, and aluminum foil. This craft takes less than an hour and a half, and will defiantly be a statement piece on Fathers Day morning! 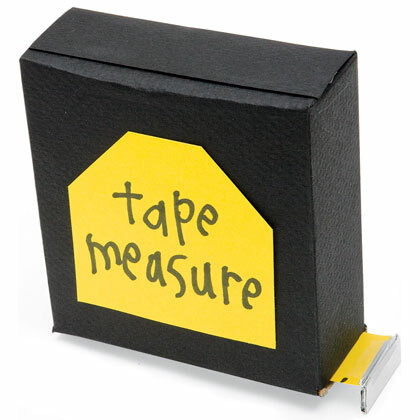 Not only will your children have fun making this nifty card, they will enjoy showing their dads how they "measure up"! My dad has the worlds largest sweet tooth. I am sure I could find him in the Guinness Book of Records! So when I saw this great idea for a giant card, I could not resist posting it! 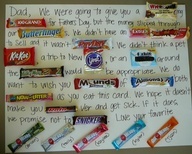 Found on Pinterest, it's a card that is larger and sweeter than life. Needed is one poster board in any color, a sharpie, tape, and a selection of candy bars. Simply write the message displayed and tape the appropriate candy bars in each designated area. I would consider also purchasing a bottle of medicine to help with the upset stomach your dad is sure to have after devouring this card! The Cosby Show was my inspiration for this card! I remember an episode when Theo buys Dr Huxstable a very hideous, light -flashing tie for Fathers Day I am sure 90% of us have purchased our dads a tie on Fathers Day, and possibly some of them required batteries! 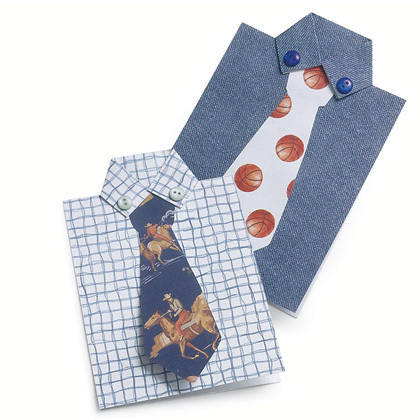 I found this simple and cute tie and shirt card tutorial on familyfun.go.com/fathers-day. All you need is two pieces of scrapbook paper, buttons, and glue. Perfect for any dad that likes a sharp-dressed card! The last card I found is one that has a special meaning to me. When I was a child, my dad would tuck me into bed and tell me that he loved me. I would then ask him, "how much do you love me". He always replied, with his hands stretched out as far as they could go, "this much"! I cherish those little moments, and when I found this tutorial on tipjunkie.com, I knew it was one I had to share! Simply trace and cut out your child's handprints. On one handprint write, "I love you". Next cut a strip of paper as long as you would like it and write, "this much". Fold it into an accordion shape and glue one end to one handprint and the other end to the other print. Write another special message on the second print. You could add your favorite picture or decorate it with colorful stickers. 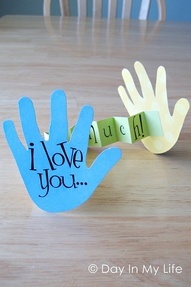 Make sure and stretch those hands out far and show dad that your love is never ending! Meet Corrine Luftus, one of our newest creative blog team members. She's put together some wonderful budget friendly DIY ideas. We hope you enjoy them just as much as we do! Coming from a single parent home, Father’s Day has always been the giving of just a card and a text from me. I knew this was going to be challenging since I’ve never actually participated in any Father’s Day activities. I kept seeing dad’s best gifts were the time you spend with him everywhere as I searched and knew that was what I was looking for. Many wallets are tight again this year, as they have been in past, so the main goal was to find budget friendly activities that everyone in the family could participate in. I also had to be fair because some states are just too hot to be outdoors already! Here's a few I found and I hope your family takes the time to enjoy one of them! Please use the links included for more detailed instructions! Serve dad breakfast in bed! 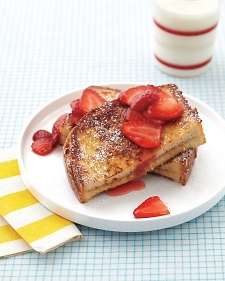 Peanut Butter Stuffed French Toast- I’m sure most dads would love to be woken up in the morning to the wonderful smells of breakfast coming their way! Especially something as yummy sounding as this! If he’s not that type of guy, make it a family effort! on 4 slices bread and top with remaining slices. Make it a craft night with dad! Sketch-a- Shirt- This is probably one of the coolest ideas I’ve seen around pinterest and on homemademamas. It uses things hanging around the house or maybe a shirt you have little bleach spots on already into new art! The best part?! You hardly have to spend any money on this project at all! All you need is a cutting board or something hard to put between the layers of the shirt, a piece of chalk, to pre-trace your drawing, a bleach pen, and a paper towel to make sure your pen works before you try it on a shirt. Easy peasy! Envelope Surprises- For this one you can go as fancy or as basic as you want!! Before Father’s Day or on Father’s day! Each member of the family is going to add a poem, thought or even memory along with a personal gift for dad to open that will lead to his BIG gift! There are endless possibilities for this one! Homemade envelopes, you name it, so get those thinking caps on and get crafty!! Poetry River- This was one of the neatest projects I came across! Depending on the ages of you children it can totally be adjusted to their level. The author that wrote this actually cut a little blue river and it may be fun to do the same maybe add some drawings, go a fun mini scavenger hunt outside if it’s not too hot to add to the river! 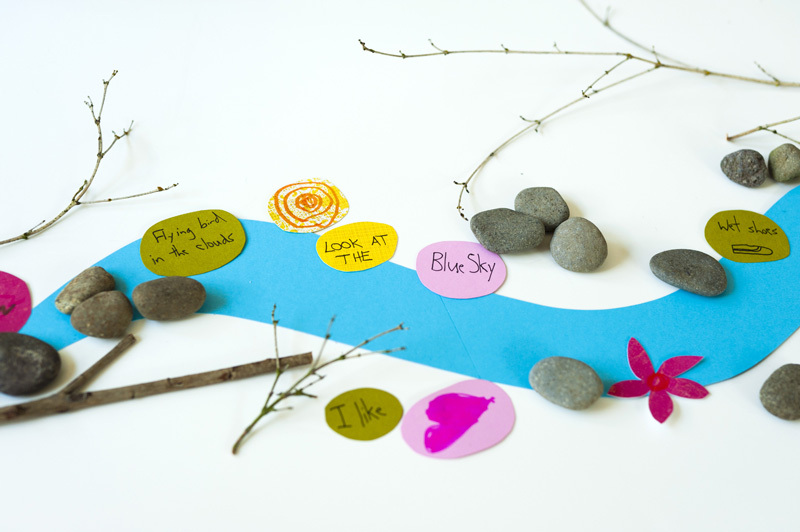 Now, you add in some cut up papers with words such as thoughts, memories feelings to make up little poems or stories. How fun and creative can you be? Give dad a piece of your heart! Salt Dough Necklace- This last one was written as a Mother’s day or Valentine’s day activity and I liked it too much to not share. Why can’t the shapes be different or why can’t dad’s have it as a key chain? Salt dough necklaces, an easy three-ingredient process, that every one gets to be creative with! All you need is flour, salt and water. Depending on what you want to decorate with you may need some paint and ribbon, or key rings. A fun and family oriented activity! Hope i can look this blog two weeks ago, what a pity, but i'll follow yours way i next year! And this year i'll choose some Like the high quality and fashion Women leather bags at http://www.cwmalls.com/bags/ to my mother!